Yesterday after the iPhone 4S announcement, Apple’s websites went live with descriptions of new features. Absent on Apple.ca was any mention of Siri–even in the accompanying promotional video. This omission resulted in people asking whether Siri would be available in Canada or not. Canadian Jim Dalrymple from The Loop confirmed Siri would be available in Canada, as per what Apple employees told him at the Let’s Talk iPhone event. Still, people were hesitant to believe the inclusion of Siri in Canada because Apple PR told sites such as Macgasm ‘there is not a Canadian version of Siri’. 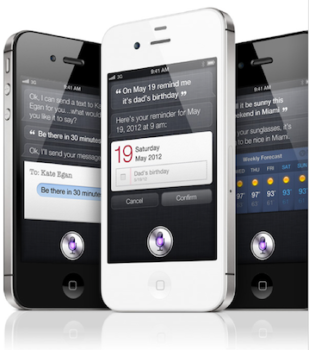 Siri will be on the iPhone 4S sold in Canada and as with the phones sold in other countries on Oct. 14, it will come with versions for English for the US, the United Kingdom and Australia as well as French and German. So when you turn on a new iPhone 4S here, Siri will be there and you can choose from one of those languages. If you choose American English, presumably Siri will understand most of what you say — just don’t use ‘eh a lot. If you choose French, it is the French of France, not Quebec. Hence, Apple is not including Siri on its Canadian web site because, strictly speaking, there is no Canadian version of Siri. Apparently that is still to come. The fact that Apple released Siri as a beta version gives some indication the iPhone 4S release date came ahead of Siri’s readiness to make her debut. In other words, the use of Canadian terms such as ‘igloo’, ‘poutine’, ‘maple syrup’, ‘hockey’, ‘eh’, ‘back bacon’, ‘John Candy’, ‘Celine Dion’, and others (what else am I forgetting??) might not register in Siri because there is no “Canadianized” version either in English or French, just as The Loop originally mentioned. 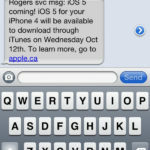 So there you have, Siri is coming to the iPhone 4S in Canada. Case, closed.